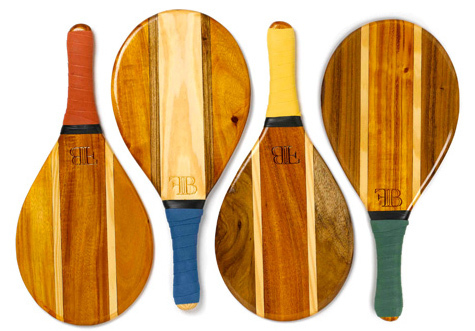 Frescobol is a Brazilian paddleball beach sport dating back to the 1940s. At first I thought these were just classy pingpong paddles, and although the equipment is similar, it is played without a tabletop. These bats by FB Collection are made from reclaimed Brazilian wood from the furniture industry that would otherwise go to waste. FB's high end aesthetic was inspired by luxury yachts.